Thanks to the internet and good marketing, you can buy nearly anything online, including shipping containers. The recent trend of shipping containers being used for other purposes besides freight services has opened up a new market for shipping containers. 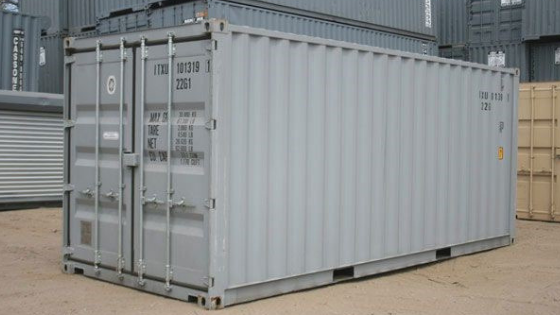 These containers have found several other uses outside the docks, these uses include as storage units, apartment complexes, restaurants, office complexes, studios, and many more. This new trend has led many eager buyers into the market for shipping containers. A lot of people who want to buy shipping containers quickly go online to find the best prices and place orders. 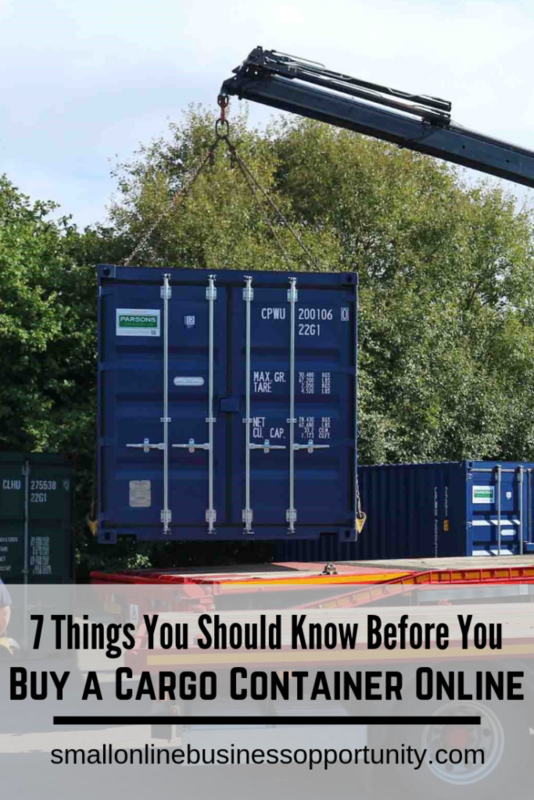 But wanting to buy a cargo container is one thing, knowing how to go about it is another. And just going online to order for a shipping container without proper information will most likely end in disaster. There are online companies all over the place offering “the best prices” for these containers that won’t bother to furnish you with the information you need. Cargo containers are not toy boxes; they are big, very heavy, reinforced steel boxes. Buying and transporting them requires a good deal of planning. It is easy to get distracted by good marketing and forget what you really need. In the end you might end up with a container that is far bigger or smaller than what you actually need. Shipping containers come in different sizes which include 20’, 40’, 45’, 48’, and 53’, with the most commonly used sizes being 20’ and 40’. Take a measuring tape and mark out 20 feet to know literally what 20 feet looks like on ground (we’d talk about how much space you need for each container size in a bit). The size of shipping container you choose should be determined by what you need it for and the space you have available. 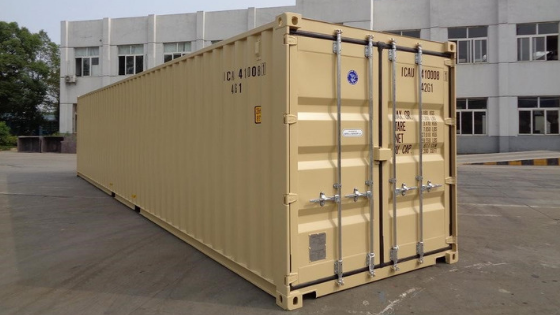 Go here to find shipping container specifications. Cargo containers are really heavy items, and like skips they may require a license or a permit before they can be used inland. This may vary from state to state or country to country, but it is important for you to do proper findings before purchasing one. You would not want to buy a container, have it delivered to you, only to find out that you won’t be allowed to use it because you have no permit. Visit your local council and find out if you need a permit to use a container on your property and what sizes are allowed. The permit would most likely attract a fee for its procurement. Shipping container suppliers are usually conversant with local regulations for the use of containers. Make enquiries from them before placing your order. This is an important factor to consider when buying a shipping container online. Most price listings you find online do not include other charges such as delivery. This can throw you off balance if you made your budget based solely on the price displayed on the company’s website. Be sure to ask about other charges that may be included in the transaction. This is because some companies only show you the cost for the container alone without delivery fee. You may find a good bargain for a shipping container and get completely turned off at the delivery cost. This is why it is important to find out from the shipping container supplier about their delivery fees. Generally, delivery fees increase with increase in distance between the shipping container supplier’s location and your property. Some companies charge by the mile, like $20 per mile. While a few others may have a stipulated rate for deliveries within a certain mile radius and add extra charges for properties beyond that radius. If the company finds it difficult to gain access into your property using a regular flatbed truck, you may be asked to pay more for delivery. Discuss this aspect extensively with the company so as to be clear about what would be required. A regular shipping container delivery can take anywhere between three days and one week. The speed in delivery is not universal; some companies might take a longer time to deliver than others. Delivery time could also be affected by logistics required to get the container to your property. If you are not in a hurry, then you can just sit back and allow the company to make the delivery. However, if you need it delivered to you urgently then you should expect to pay more for express delivery. Be sure you have a solid agreement in place for express delivery before you initiate the process. 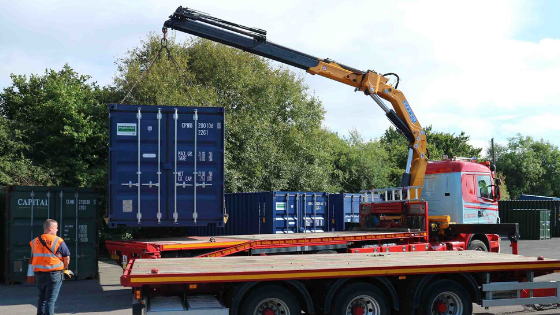 Every container size requires a specified amount of space to make its delivery and installation easy and efficient. For the commonly used sizes, which are 20’ and 40’, you would need 75 feet of straight clearance and 100 feet of clearance, respectively. You would also require an overhead clearance of 20 feet in addition to at least 12 feet of width clearance for all traditional shipping containers. Would the container be used for a long time or a short time? Can a flatbed truck enter your property easily? Is your property susceptible to flooding? Do you have a level ground and a firm soil on your property? Do you have a flat, concrete (or otherwise) surface where you’d like the container to be placed? It is important to provide a solid platform for the container if your property does not have a firm soil. This would prevent sliding or sinking by equally distributing the load. Also using concrete pad helps to keep the container off the ground to prevent rust. If you are going to be building a container home, then you can check this link: https://www.discovercontainers.com/shipping-container-home-foundation-types/ to know more.